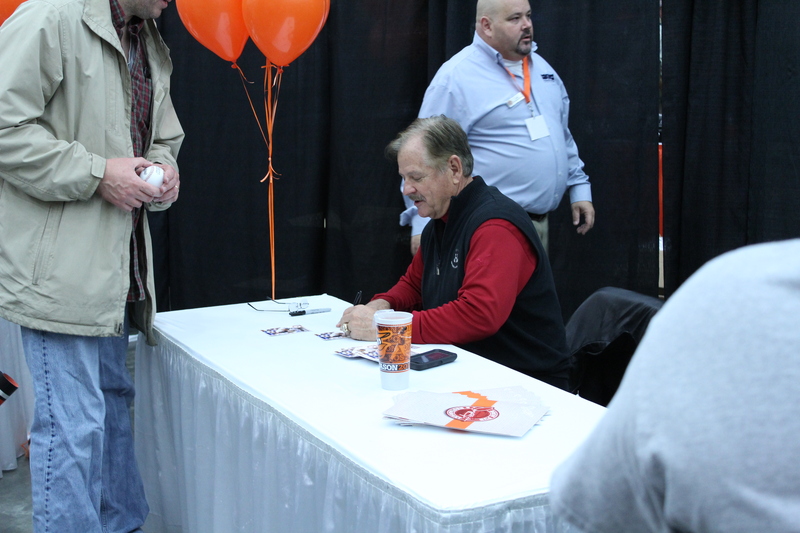 Some photos from the Orioles FanFest, which was very well attended, with over 18,000 fans there. 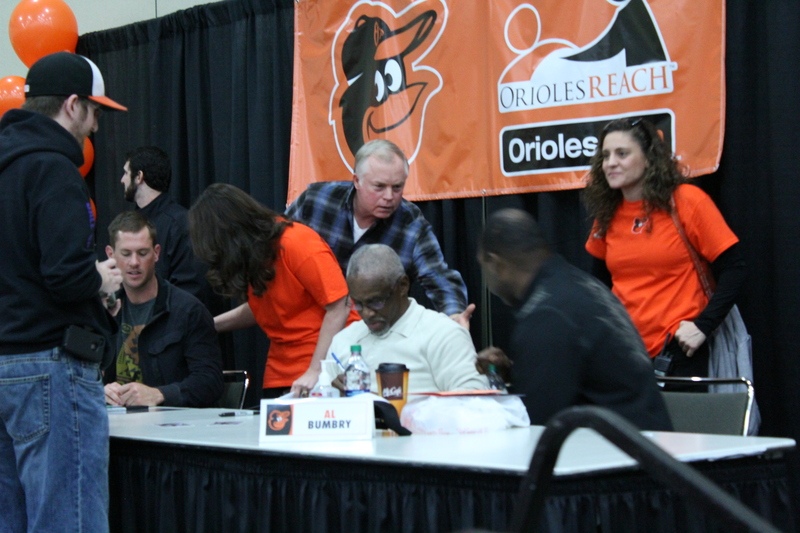 Everyone was saddened on hearing the news of Earl Weaver’s passing, when the news broke early in the morning. 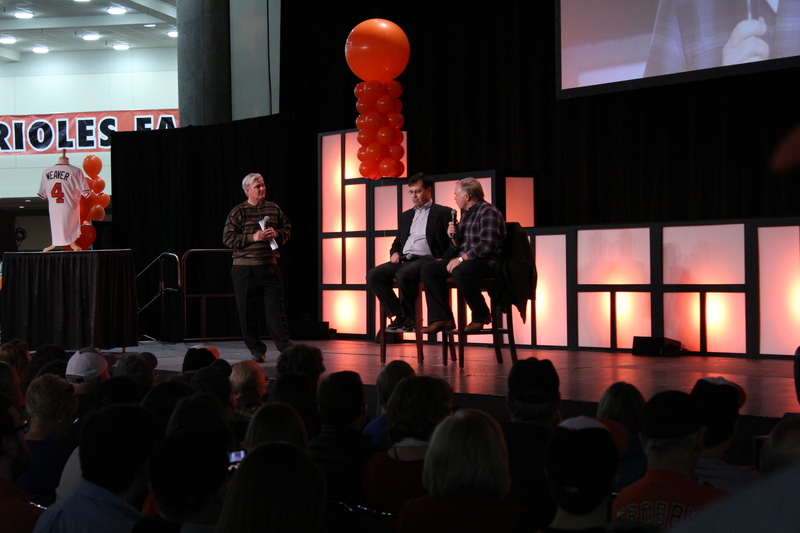 The Orioles hung a large #4 and Weaver’s jersey on the Fan Forum stage. 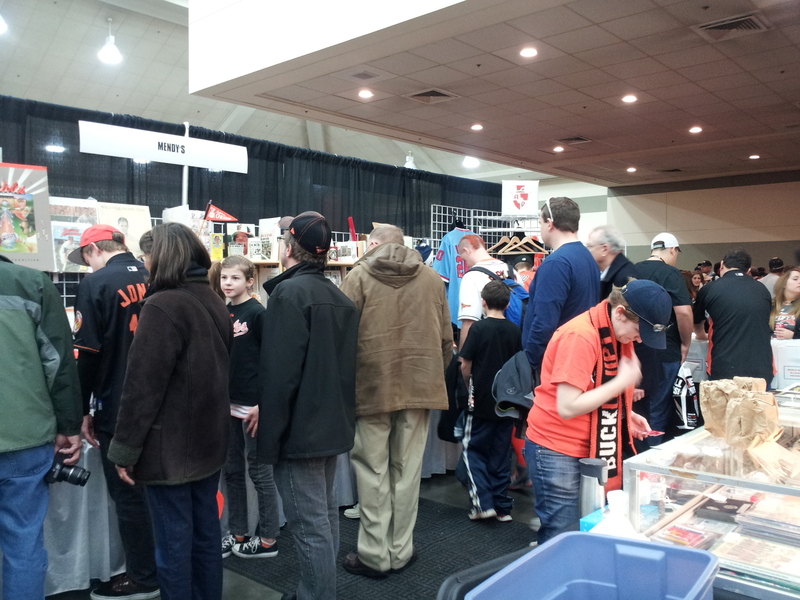 There was a sense of anticipation for the 2013 season to begin, and long lines for autographs all day. 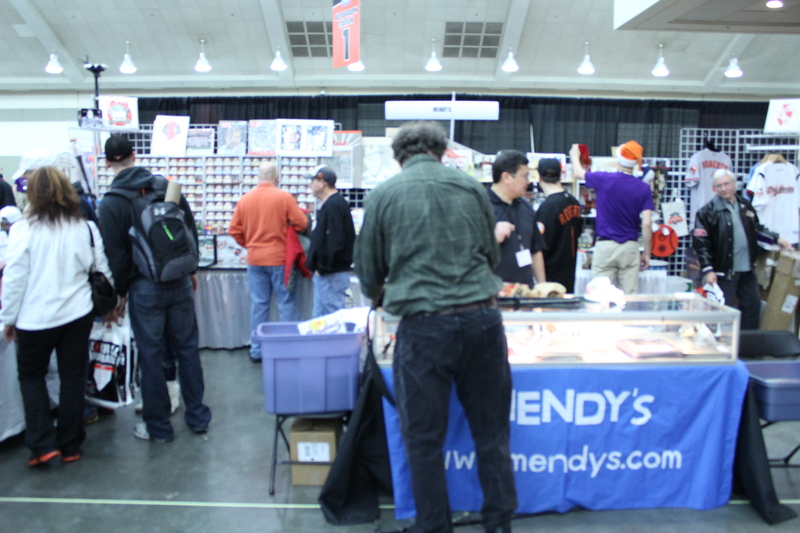 We were very busy at our booth.